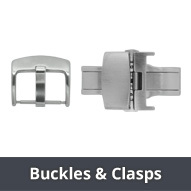 Here you will find a range of clasps for metal watch bands made of stainless steel or titanium in various designs and sizes. 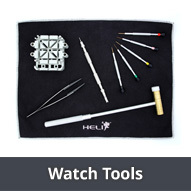 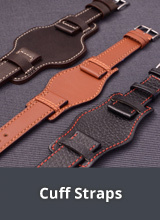 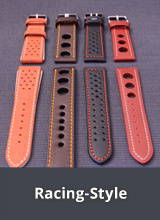 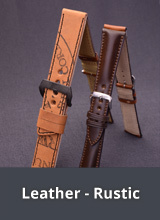 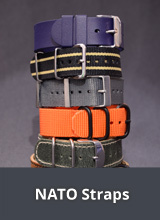 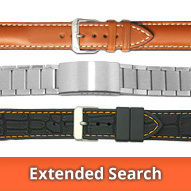 The clasps in this category are only suitable for metal watch bands. 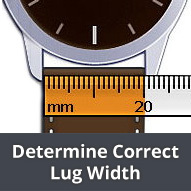 When choosing a clasp for your metal watch band it is important to measure the width of the end of the watch band that will be attached to the clasp, for both halves of the watch band. 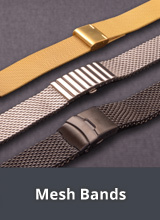 This in because the attachments for metal watch band clasps are often different.The measurements and more information regarding the clasps that we offer can be found in the individual product descriptions.